Over a span of 50 centuries, the banks of the Nile was the scene of one of the oldest civilisations in history, The ancient Egyptians forged out their own genuine unprecedented laws, legislations and administrative regulations, which continually progressed with time. Legal and legislative texts were found on the walls of palaces and temples or papyri written in hieroglyphic, demotic, Coptic, Greek, Latin, Hebrew, Aramic and Arabic. Among the modern world, Egypt is the most ancient country as far as the legal systems are concerned. As the unified state in the old kingdom was firmly established, the king’s authorities grew wider. Consequently, the royal court and the status and terms of reference of court staff gained more importance ranging from religious, civil, judicial and military duties. The central government was headed by the king who was assisted by a number of civil servants. Government executives were subject to a complete, administrative hierarchy. It is worth noting that this legal system was obligatory and binding to the king whose powers in selecting and promoting civil servants were restricted. The advisor was the highest official in the state and the head but not a member of the government’s higher council or the council of big ten. Since the 3rd Dynasty, the council, known also as the higher council of the government, comprised senior state officials in addition to certain army commanders and one of the royal sons. This council controlled the state administrative machinery and ensured the enforcement of legislations and royal decrees. 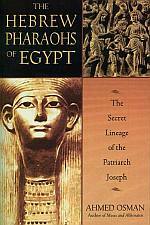 Starting the Fifth Dynasty, it assumed judiciary functions. With the beginning of the Fourth Dynasty, certain laws, legislations and reforms were introduced to the government and the state administrative machinery. Of these, the most significant was the introduction of the position of the judge of royal porte, the ancient equivalent of a minister, that was a civilian rather than a military position . State central administrative machinery comprised a number of large departments assigned all administrative functions of the state, including the King’s House, with branches in every province, responsible for the state administrative services. It comprised departments of special importance such as the royal mail department which ensured that royal orders were properly communicated. Other departments included financial, royal worship, public works , tax , water and the army. At this stage of Egyptian legal and legislative history individualism was the dominant trend. Every individual had the right to acquire any property of his choice. Disposition of property was a guaranteed right to owner. Father’s wealth shall be inherited equally by his sons and daughters, without distinction between males and females. Since the 3rd and 4th Dynasties of the Old Kingdom, many decrees and legislations were issued including one specifying farmer’s working hours and another abolishing forced labour. A parinting was found showing the king introduce "Maa’it", the symbol of justice and law, to the gods in clear reference to the sanctity of the concepts and values of justice and rule of law. 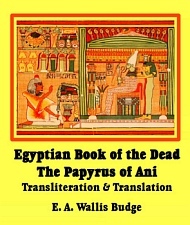 Despite the harsh conditions under the Roman rule, Egyptians managed to maintain most of their traditions, rules and customs until the advent of Christianity into Egypt during the first half of the 1st century AD.The Egyptian church contributed to the establishment of several rules and traditions. Under the Islamic era, systems of government and legislation were derived from the Holy Qura’an and the Sunna (Traditions) of Prophet Muhammad based on the shura (consultative) principle; an essential principle of government in Islam. The success of the High Council led to the establishment in 1829 of another council; the Advisory Council. Regarded as the nucleus of the Consultative (Shura) system. The Advisory Council was convoked to give counsel on matters related to education, administration and public works. In 1830, a package of standing orders for the council was issued. In 1833, the Advisory Council enacted its own law, defining the term of the council’s sessions as well as deliberations and decision-making procedures. The year 1866 witnessed the most crucial step of enhancing the parliamentary life in Egypt by establishing the "Advisory Council of Representatives" during Khedive Ismail’s region. This council was the first parliament with representative functions, rather than just a consultative council.